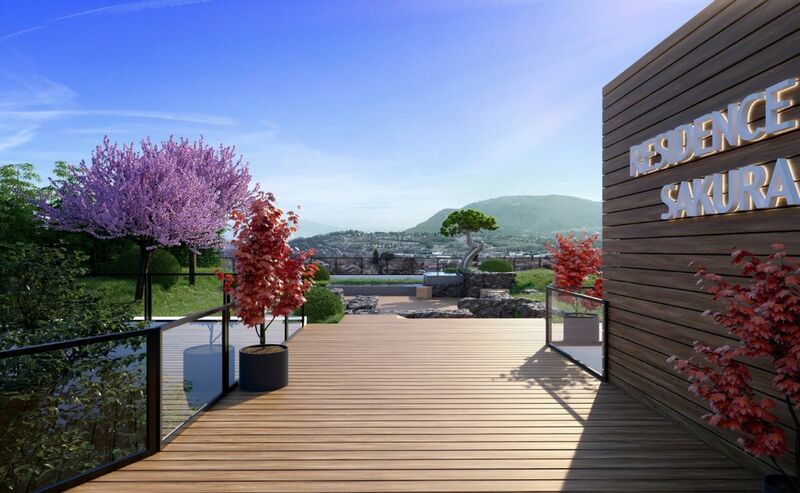 Somewhere between the French influence and the Swiss life’s gentleness, SAKURA welcomes you... at home. 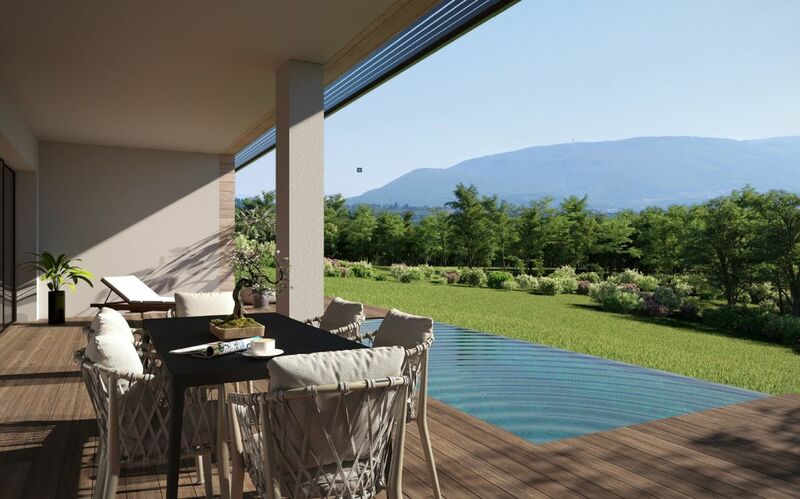 In the heart of a verdurous landscape, a few steps from Geneva, Cranves-Sales offers a peaceful and comfortable place to live. Hike in the picturesque country paths, Travel in the heart of the legendary birthplace of the luxury watchmaking. Immerse yourself in the international district of Geneva, discover its well- known waterjet Stroll through its quarters of multiple ambiances, on both sides of Lake Léman Or play on the different surroundings golf courses. So many unforgettable experiences in a natural landscape which is unique in the world. 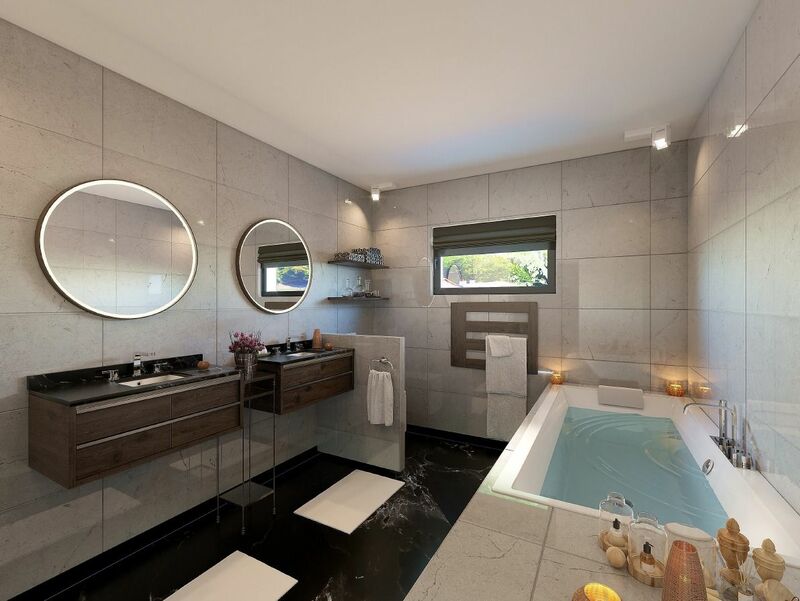 The Sakura residence consists of 3 villas and 5 prestigious apartments with meticulous finishes, with new materials mixed with state-of-the-art equipment, for an incomparable comfort of life. 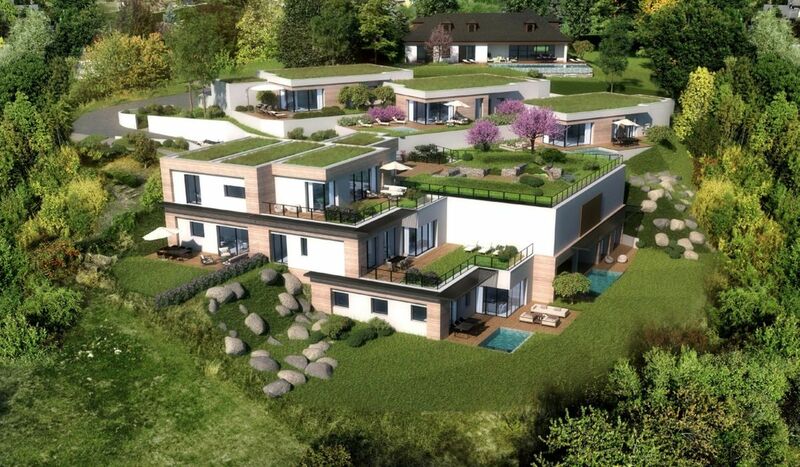 The 3 contemporary and spacious villas open into panoramic terraces with swimming pool, facing an exceptional view. 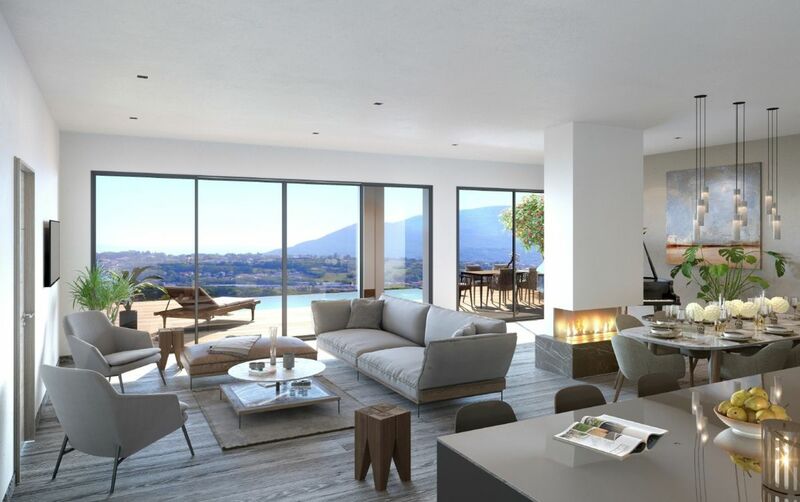 The 5 exceptional apartments, with their minimalist and elegant design, are designed to offer each one remarkable views. Some places inspire, magical places that call to share their history. SAKURA Timeless is one of these places, certainly with one of the most beautiful views of Greater Geneva. A connection to the sakuras and panama of Mount Salève, reminding the freshness and originality of Japan with the Balcony of Geneva on either side, the Alps on one side and the Jura chain on the other. 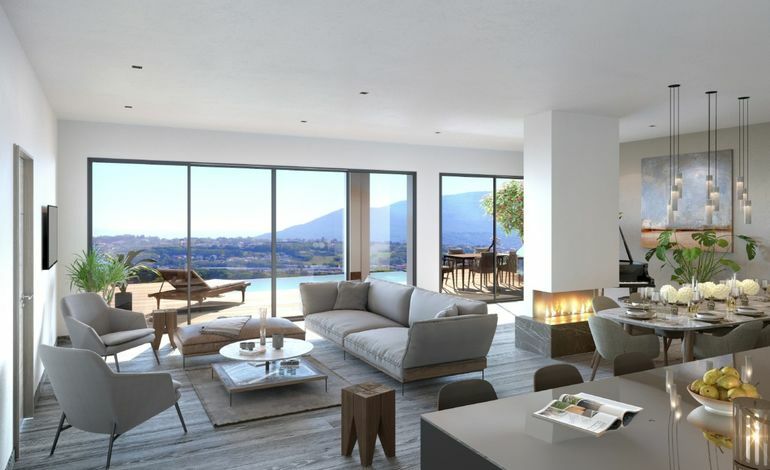 Its location also brings you closer to Italy via the Mont Blanc tunnel and to all tourist and winter sports resorts (Evian, annecy...) via TGV and motorway connections. 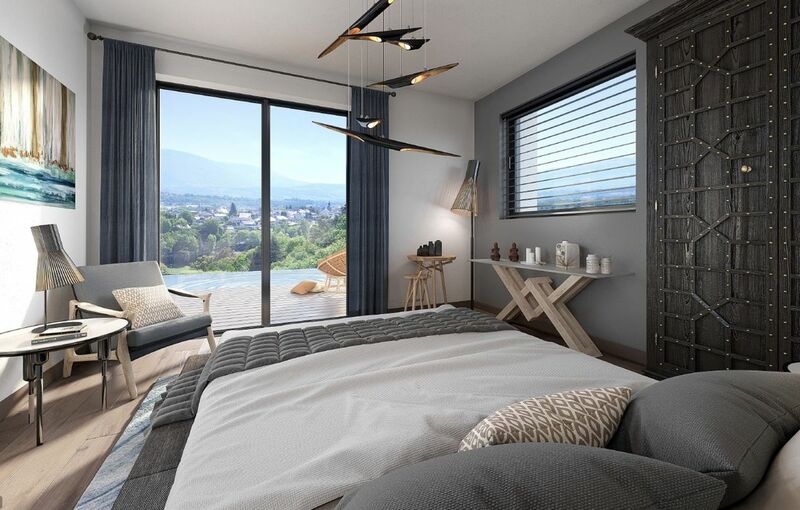 « SAKURA TIMELESS » has the privilege of being on the edge of a protected natural area, facing the mountains, above Geneva, in co-visibility with Mont Blanc and Mont Salève, on land facing due south, with a very steep slope. The existing vegetation is lush is very diversified, a set of cherry trees served as the starting point for the SAKURA TIMELESS idea, the symbol of Japanese aestheticism. 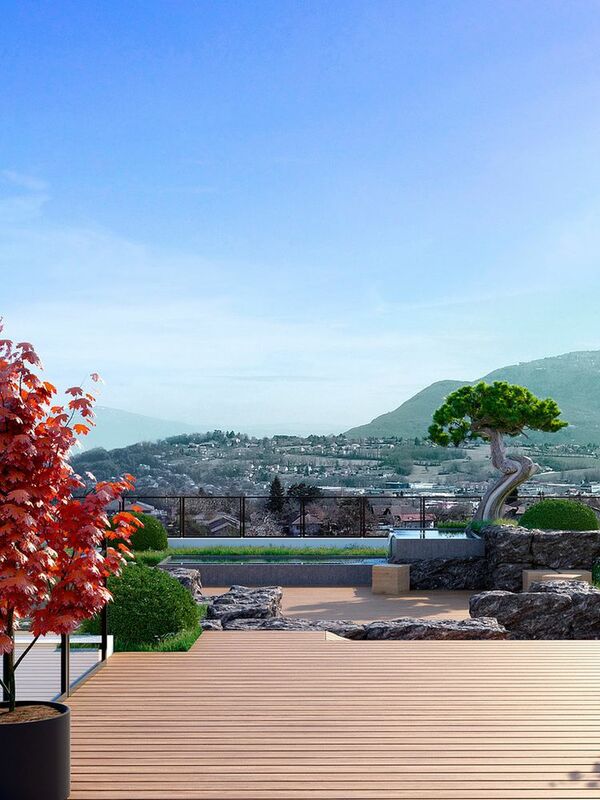 The proposed architecture will be based on a Japanese atmosphere, calming and aesthetically very meticulous; the architectural will was to built a villa with a very high environmental quality and a significant integration to the site. All views are dominant, not overlooked, bay windows offer a perfect continuity between the interior and exterior by the extension of the living spaces. The "Japanese- inspired" atmosphere is embodied both by the vegetation proposed as well as by the local grey stone, reminding Japanese schists, and by the climate compatible with the referred species. 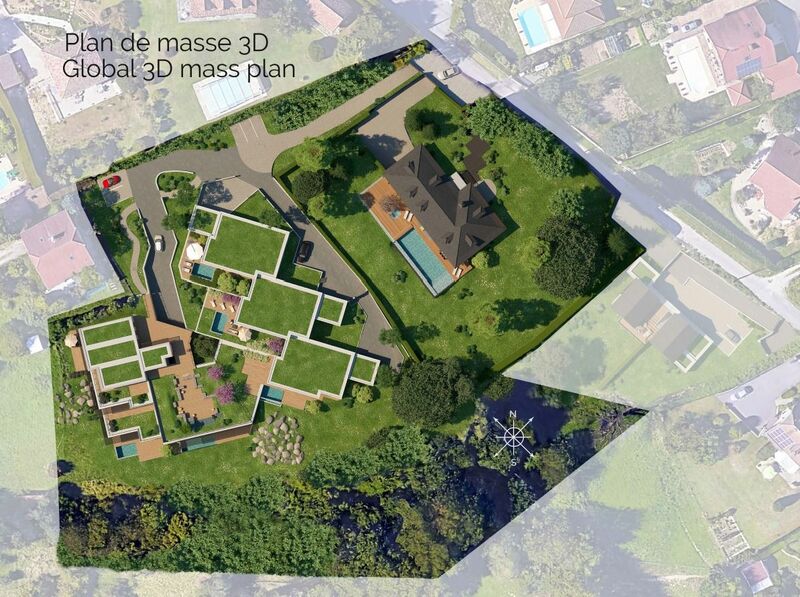 The natural green spaces, as well as those landscaped, cover more than 68% of the plots involved. The lanscape is omnipresent, the architecture is elegant by its dominant integration. The exceptional quality of the place , its geographical position, its viewpoints and its natural environment lead to a project that must blend into the landscape, and enable"to see without being seen". Its geographical position in the heart of the Haute-Savoie department puts Geneva and Lake Geneva within easy reach, Italy through the Mont Blanc tunnel and all the winter sports resorts such as Megève, Morzine and Les Gets. Cranves-Sales has an essentially residential character that combines the charms of the countryside with those of the city. The municipality offers a very rich associative life, a school group (nursery and elementary), a college, shops and local services.